Since joining #steemit, I have been uploading my images to this website so as to have a link to use on this #engrave blog for each image. However the last couple of weeks I have been unable to access #steemimages website and I wonder about the links I have used for my images in previous posts. It looks like the domain name has expired and therefore we are unable to log in and access our images. I wonder does the person who owns this domain know that it has expired? If anyone knows that person, could they get a message to them as there must be a number of people who are in this unfortunate situation. 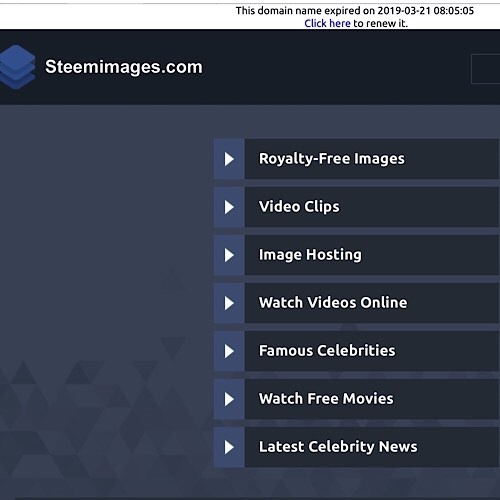 Since this has occured I discovered that we can actually upload our images to a draft post using #steemit, copy that link and paste it into our #engrave blog post. That seems to work for now. Does anyone know an alternative way that we can get images onto the Engrave Blog. I like to use engrave for my #steemit posts because it keeps all my posts in one place and is somewhere I can send people that are not on this platform, who want to see my blog.